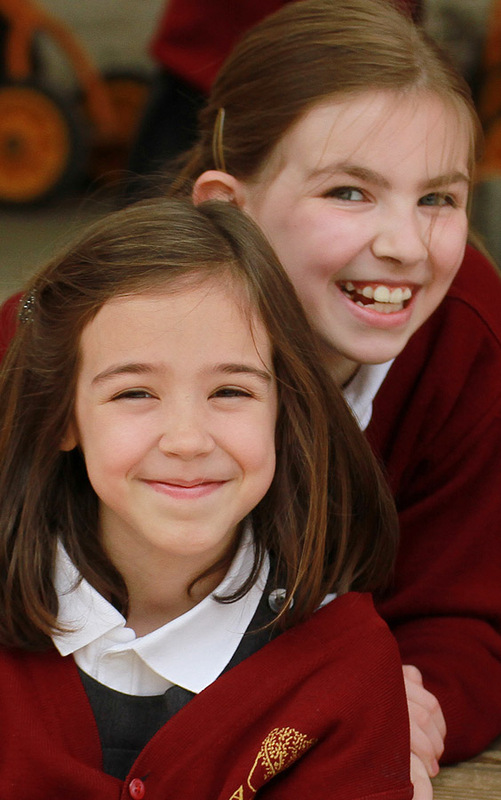 The primary focus of Agnes School’s educational philosophy is the development of true freedom that will enable our pupils to live a more complete human life, as opposed to the mere attainment of technical skills or knowledge. This is the objective of a “liberal arts” education; the root of the word “liberal” is the Latin word “liber,” meaning “free.” A liberal arts education increases one’s freedom, the ability to embrace the Good, wherever it is truly recognised. It imparts the freedom necessary to join with the great minds of history, rising above one’s current situation and culture, to appreciate what is deepest in our human condition. Acquiring a liberal arts education is a life-long process; Agnes School strives to form life-long learners who have what the Blessed John Henry Cardinal Newman called a “habit of mind” in pursuit of intellectual excellence and the contemplative life. An education at Agnes School involves the acquisition of excellent study habits which together with an enquiring mind form the basis of a life-long love of learning. A liberal education teaches, among other things, a respect for the proper and responsible use of words, a sincere spirit of enquiry and the recognition and appreciation of the Good, the True, and the Beautiful. The fruits of a liberal arts education – a broad understanding of reality, clarity of thought, excellence in writing, and effective speaking skills – are of great benefit in higher education and crucially important to many professions and positions of leadership. The Agnes School curriculum is rooted in a perspective that sees the abundant goodness of the world, of all creation, as a fundamental governing principle; a perspective that sees the nobility and heroism of individuals in struggles throughout history. This truth naturally leads us to reflect upon all the human riches of our past and the world of today as ways to discover God in the ordinary things, to know and “serve Him in and from the ordinary, secular, and civil activities of human life.” Agnes School will thus refrain from narrowly embracing one ideology, political agenda, philosophical school or approach to the rich drama of human history and thought. 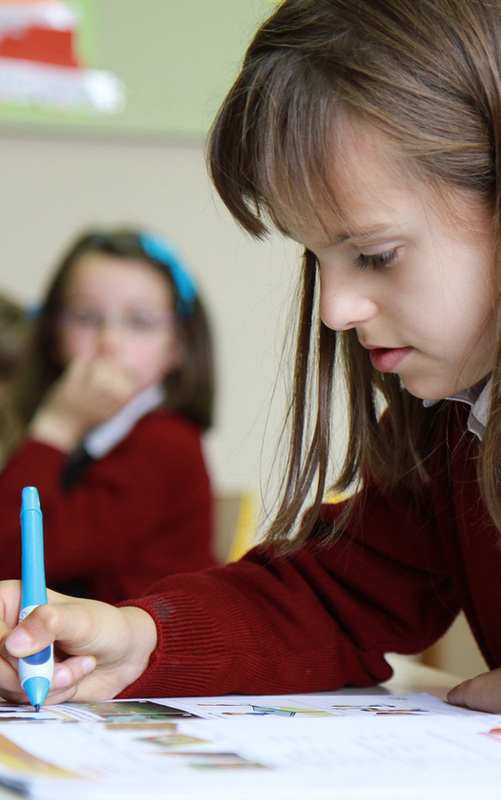 Our school provides its pupils with a bilingual education by immersion in either French/English (français/anglais) or French/Dutch (français/néerlandais). Bilingualism by immersion provides not only an in-depth knowledge of the target language but also stimulates a high level of interest in that language, providing cultural enrichment, improved comprehension and listening skills, a deeper understanding of the language at an intellectual level, concentration, a keen eye for detail and increased flexibility. According to teachers and researchers; teaching integrated subjects in a foreign language requires, from teachers, as well as pupils, increased concentration to understand and correctly interpret the contexts and finer nuances of the subject matters at hand. School inspectors have identified that pupils from bilingual schools have improved conceptual understanding allowing them to grasp and understand essential concepts more quickly and easily. It is easier for the brain to create neurological connections when it is familiar with the wider range of sounds and intonations such as those provided by an education in bilingual immersion. Improved auditory and phonetic capabilities: a young child can assimilate and acquire a wider range of sounds and reproduction methods. In a bilingual, as opposed to a monolingual education, these two phonetic references are preserved. An improved ability to think in the abstract and to conceptualise ideas (thanks to an exposure to wide linguistic and cultural interactions) an enhanced ability to assimilate and analyse information (more detailed comprehansion and oral perception through enhanced listening skills, focus, and vigilance), stronger intellectual adaptability and broader approach with regard to creativity and thought. Provides a child with a better knowledge of its own mother-tongue: also known as “positive bilingualism” (Lambert). It is widely accepted in the French Community of Belgium that pupils attending bilingual schools achieve better academic results. Agnes School has the support of two leading educational institutions. Agnes School is registered as a Cambridge School. The Cambridge School network is the largest provider of programmes and qualifications of international schools in the world. The University of Cambridge’s mission is to support excellence and learning in our schools, working in partnership with us to deliver the best education possible to our learners. It provides a framework programme assessment tools and access to a variety of certified training courses. 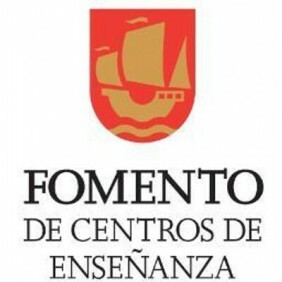 Fomento promotes schools where parental involvement is considered essential. Fomento kindergartens, primary schools, secondary schools and universities offer support to schools (pedagogy, education…). Personalised instruction for excellence in education; each student is unique. In Fomento schools, the character of the student is placed at the centre of the educational process. A personalised education aim to achieve the maximum development of an individual pupil’s capabilities and resources, with the help of their parents and teachers. An education that focuses not only on the acquisition of knowledge but the development of the whole person; training people who can contribute to the betterment of society. Collaboration with parents : parents, primary educators. Fomento assists parents in their responsibility as primary educators; to provide their children with a good quality education. And to achieve this, we believe it is essential that the family and the school share educational principles and act in a coordinated manner. Christian Identity : the atmosphere within the school is inspired by a transcendent vision of human existence, with the principle of the dignity of the person a key feature of the Christian spirit. Since its inception, Fomento has asked the Prelature of Opus Dei help maintain its vibrant Christian identity. Every child has a remarkable capacity for acquiring knowledge and skills in the early years and these years have rightly been called the golden age of learning. 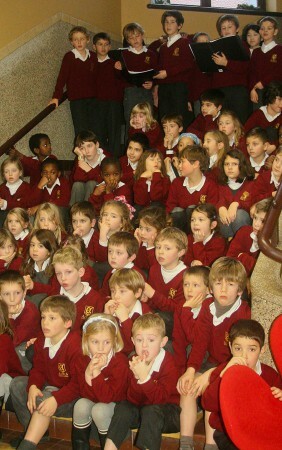 The school welcomes children who are aged 20 months and above on 1st September. Agnes School embraces a holistic approach to learning and considers creativity essential to a child’s development. We adopt a project based approach, which is a child-centred teaching strategy, that enables us to integrate different areas of learning while promoting the development of independence, the acquisition of knowledge together with problem-solving and thinking skills. The programme takes in to account the different stages of a child’s learning capabilities thereby enabling them to develop qualities related to both the heart and the intellect. Children are encouraged to fo pursue their individual interests and are regarded as competent learners who can take an active role in their own education. We provide a playful, yet meaningful learning environment, which generates enthusiasm for learning and provides opportunities for exploration and investigation. We provide a balanced curriculum with both child initiated and adult focused activities, which are carefully planned to enable children to reach their academic potential. 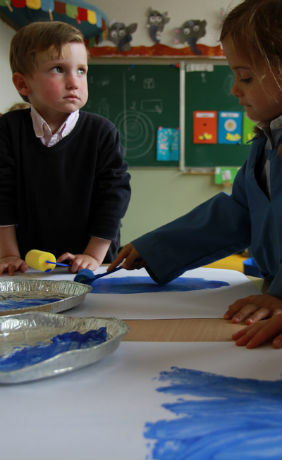 There are four Prime Areas which focus on early experiences and form the foundations for learning: ‘Personal, Social and Emotional Development’, ‘Communication and Language’, ‘Logical Thinking’ and ‘Physical Development’. daily exercises (25min) foster a better neurological organisation thus reducing the risks of learning disabilities. develops listening skills and aesthetic appreciation. This enables the child to assimilate languages while at the same time also expanding their knowledge of sounds. Bits of intelligence Quizzes: improve a child’s attention span, stimulate memory skills, develops and expands general knowledge. develops autonomy and social skills. More individual follow up is granted. develops gross and fine motor skills, overall flexibility and pre-writing skils. puzzles, sorting, etc; to prepare the brain for mathematics. learning order, generosity, effort, responsibility, autonomy, happiness and optimism! We take a step by step approach to meet these objectives! The partnership with parents, which characterises the Agnes School ethos, is especially important during the nursery years. Good parent-teacher communication is crucial at this stage in a child’s education and the effectiveness and joy of early learning is enhanced when home and school work together. Our Character Development programme helps children to develop human virtues and a solid understanding of right and wrong. The children take a supervised nap after lunch (pyjamas not required). facilitated by the school in collaboration with the parents for those children who are not yet potty trained. The Nursery is approved by KIND & GEZIN. The corresponding fees are therefore deductible for tax purposes. According to the languages chosen (FR/EN or FR/NL), the child receives a fully bilingual education through immersion. Agnes School embraces a holistic approach to learning and considers creativity essential to e child’s development. We adopt a project based approach, which is a child-centred teaching strategy, that enables us to integrate different areas of Learning while promoting the development of independence, the acquisition of knowledge together with problem-solving and thinking skills. Our programme takes in to account the different stages of a child’s learning capabilities thereby enabling them to develop qualities related both to the heart and the intellect. There are four Prime Areas which focus on the early experiences and form the foundations for learning : ‘Personal, Social and Emotional Development’, ‘Communication and Language’, ‘Logical Thinking’ and ‘Physical Development’. daily exercises (25min) enhance cognitive development thus of learning disabilities. develops listening skills and aesthetic appreciation. This enables the child to assimilate languages while at the same time expanding their knowledge of sounds. improve a child’s attention span stimulates memory skills, improves and expands general knowledge. develops the gross and fine motor skills in order to improve overall flexibility and pre-writing skills. Activity with music and stories. puzzles, sorting, story reconstruction, … to prepare the brain for mathematics. Our Character Development Programme helps children develop human virtues and solid understanding of right and wrong. The school follows a programme which aims to lay the foundations for a child’s learning skills by giving them both an intellectual and moral education, an indispensable basis for their development as a person. To learn to think in a structured manner. In addition to the Physical Education classes provided within the school, the primary classes also have two sport days per year. The teaching of values is carried out by means of a detailed teaching plan, which aims to strengthen the resolve of the child which in turn helps them to make choices that support the blossoming of their personality, their integration in to society and their contribution to the common good. The child receives personal coaching which facilitates continuous evaluation while at the same time, allowing the child to find their own means in order to achieve their goals. These goals are not solely academic, but also relate to how child integrates in to society and demonstrates personal organisation, effort and endeavour, self-respect, respect for others, the spirit of initiative etc. The schools’ educational programme is based on the official schooling programme of Belgium’s French and Flemish speaking communities as well as that provided by the Cambridge University. 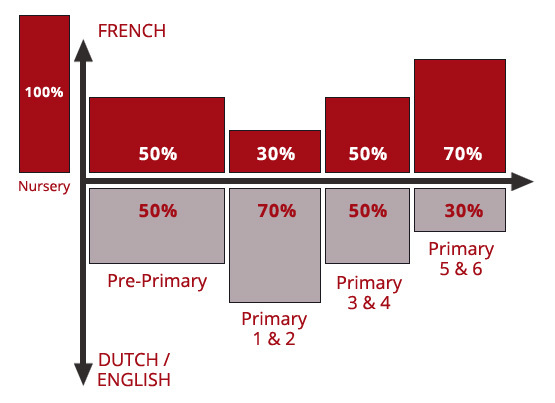 70% Dutch/English (depending on the pupil’s language choice) + 30% French. In Primary 1 and 2, the class teacher delivers all core curriculum subjects with specialist teachers offering Religion, Art, Music and Physical Education. Language, Maths and World Studies (History, Geography and Science) hold a central place in the timetable. They are delivered in the target language (Dutch/English). 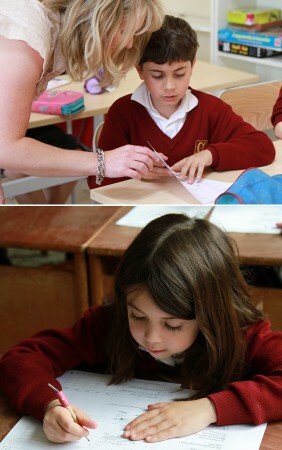 The basic subjects : Reading, Writing and Mathematics are taught in the immersion language. We encourage a problem-solving approach and a keen awareness of the natural world. The children go on many excursions and benefit from outside speakers and visitors. Information technology is integrated in to all subjects. We offer an individualised teaching programme with differentiated activities. Remediation lessons are available inside the school for those who need to ensure that they do not fall behind. By the end of their time in Primary 1 and 2 children will have received a thorough educational grounding and be well prepared to meet the challenges of the following academic year. Children have classes in the target language (Dutch/English) for Language, World Studies (History, Geography and Science) and Drama. They have classes in French for Language, Maths, Music and Religion. 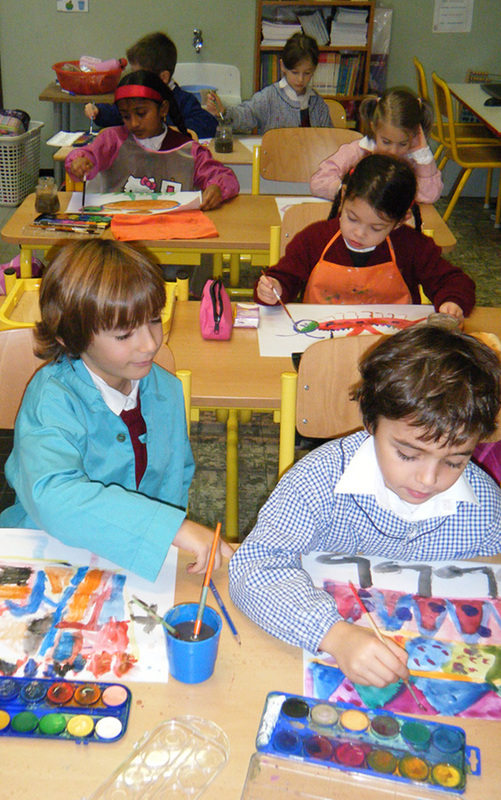 Art is taught in French in the FR/NL class and in English in the FR/EN class. Children also have classes in Physical Education. Children have classes in the target language (Dutch/English) for Language and Drama. They have classes in French for Language, Maths, World Studies (History, Geography and Science), Art, Music and Religion. Academic work inevitably becomes more demanding as children progress towards final preparations for Scholarship and Entrance examinations to secondary school. 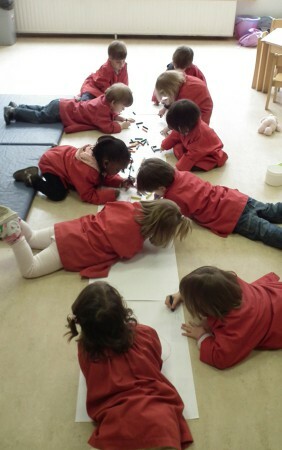 This is a gradual process for which children are well prepared in a calm and studious environment. Children may use the facilities of library and ICT room to carry out any necessary research. To date, Agnes School students have passed these tests without difficulty with good, even excellent results. They achieve success in these tests designed for students receiving 100% French instruction while a pursuing a bilingual education, with only 30% (2nd primary) and 50% (4th primary) of courses taught in French. Our commitment, in close partnership with parents, is to prepare children for the challenges they face at secondary school. 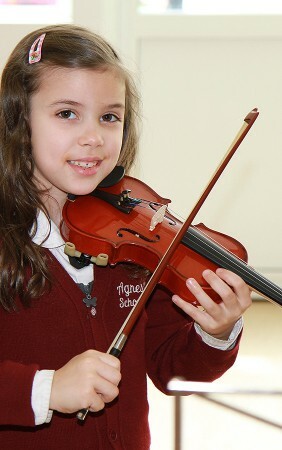 Agnes School places huge importance on music and art. Music and art have a spiritual dimension above and beyond their instrinsc value. They have enormous power to influence emotions, to unite individuals, as well as providing a medium for the expression of feeling. Within education, arts offers many additional benefits e.g. self-discipline, increased self-confidence,improved presentation and performance skills and the ability to work with others. Ensemble playing and singing encourages respect and a positive attitude towards peers, creating friendships across year groups. Music also contributes to a child’s all-round education by fostering listening and communication skills. 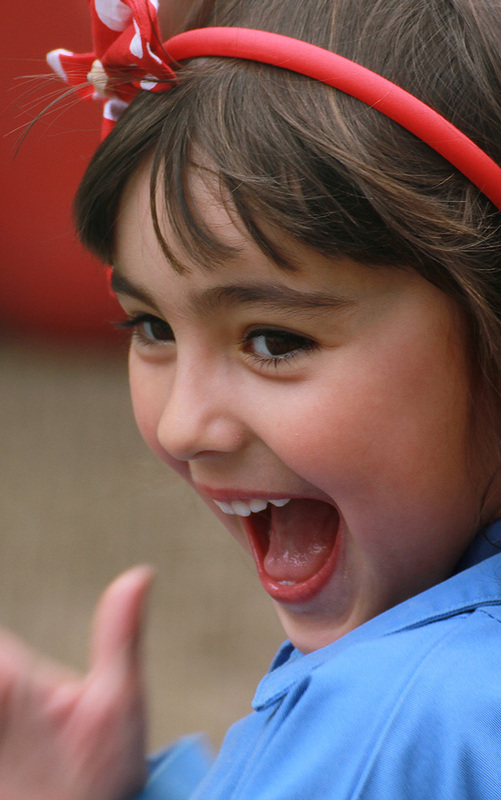 One of our main aims is to ensure that chidren continue to enjoy music and art and develop a life-long love for them. Our curriculum aims to educate the ear and eye of the child. 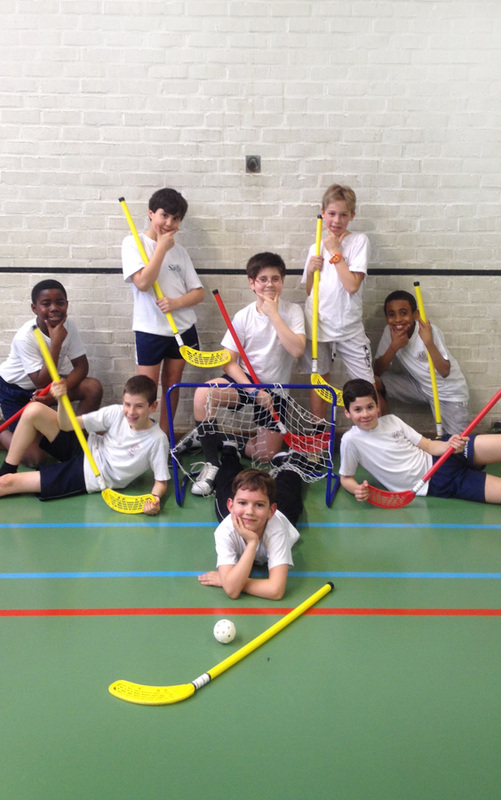 Sport is of major importance to the boys and girls at Agnes School. They are taught gym and a variety of individual and team-based sports. Girls and boys have separate sport and gym lessons. The Sport and Physical Education Department is run by specialist teachers. Team spirit, competition and self-control are some of the values developed during these lessons. Agnes School offers a wide variety of Extra-curricular activities during lunchtime and after school. Piano, Flute, Violin, Guitar, Singing lessons – please enquire for others.